Christen Press scored in the 49th minute and it was all Chicago needed to beat Seattle as the Red Stars topped the Reign 1-0 on Sunday afternoon at Toyota Park in Bridgeview, Illinois, with 3,147 fans in attendance. The Red Stars improved to to 5-2-1 with 16 points this season and have not lost since April 29. The Reign dropped to 3-2-3 with 12 points. 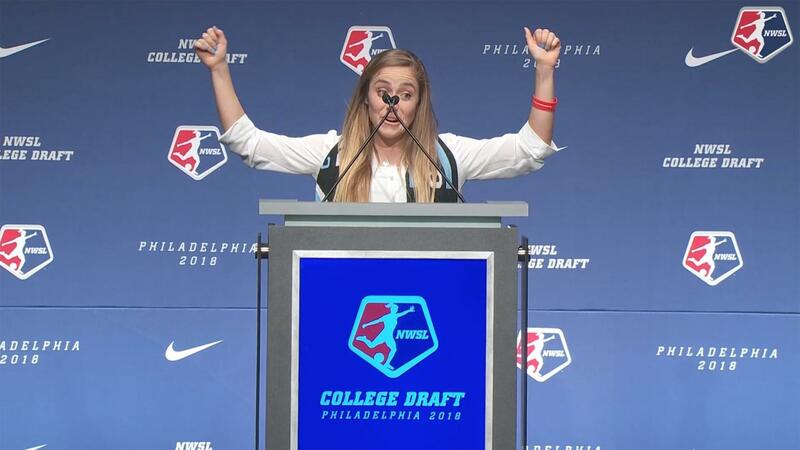 Midfielder Julie Ertz started the play that led to Press’ goal, sending a long ball into Huerta on the left side of the box. Huerta caught up to it near the endline and flicked it with the outside of her right foot to Press, who used her first touch to send a left-footed shot over Seattle goalkeeper Haley Kopmeyer for the goal. Press now has three goals and two assists through the first eight games of the season. Kopmeyer made seven saves in the match, several outstanding, but it was not enough to keep Chicago off the board. Reign rookie forward Katie Johnson earned her first NWSL start, getting the call in place of the injured Beverely Yanez, who suffered a right quad laceration last week. Defender Merritt Mathias returned as a late substitution after being suspended for the last three games. New Red Stars signing Yuki Nagasato, who arrived in Chicago earlier this week, was not available for the match. Attempt missed. Kiersten Dallstream (Seattle Reign) left footed shot from the left side of the box is close, but misses to the left. Assisted by Rumi Utsugi. Julie Johnston Ertz (Chicago Red Stars) wins a free kick in the defensive half. Attempt blocked. Kiersten Dallstream (Seattle Reign) left footed shot from outside the box is blocked. Assisted by Jessica Fishlock. Substitution, Seattle Reign. Merritt Mathias replaces Katie Johnson. Attempt missed. Alyssa Mautz (Chicago Red Stars) right footed shot from outside the box is close, but misses to the right. Attempt blocked. Alyssa Mautz (Chicago Red Stars) left footed shot from outside the box is blocked. Assisted by Christen Press. Attempt missed. Sofia Huerta (Chicago Red Stars) right footed shot from the centre of the box is close, but misses to the left. Assisted by Christen Press following a fast break. Attempt saved. Sofia Huerta (Chicago Red Stars) header from the right side of the six yard box is saved in the top right corner. Assisted by Danielle Colaprico with a cross. Attempt missed. Casey Short (Chicago Red Stars) header from the left side of the six yard box is high and wide to the left. Assisted by Vanessa Di Bernardo with a cross following a corner. Corner, Chicago Red Stars. Conceded by Jessica Fishlock. Attempt blocked. 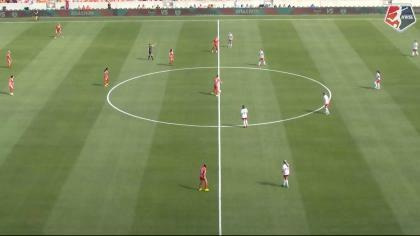 Casey Short (Chicago Red Stars) left footed shot from the right side of the six yard box is blocked. Sofia Huerta (Chicago Red Stars) hits the right post with a right footed shot from the right side of the six yard box. Substitution, Seattle Reign. Kristen McNabb replaces Nahomi Kawasumi. Attempt missed. Nahomi Kawasumi (Seattle Reign) right footed shot from outside the box is too high following a corner. Offside, Seattle Reign. Rumi Utsugi tries a through ball, but Nahomi Kawasumi is caught offside. Attempt missed. Alyssa Mautz (Chicago Red Stars) header from the centre of the box misses to the right. Assisted by Danielle Colaprico following a set piece situation. Goal! Chicago Red Stars 1, Seattle Reign 0. Christen Press (Chicago Red Stars) left footed shot from the centre of the box to the bottom right corner. Assisted by Sofia Huerta. Attempt saved. Danielle Colaprico (Chicago Red Stars) left footed shot from outside the box is saved in the top centre of the goal. Attempt blocked. Katie Johnson (Seattle Reign) right footed shot from the centre of the box is blocked. Assisted by Megan Rapinoe. Attempt saved. Rumi Utsugi (Seattle Reign) left footed shot from the left side of the box is saved in the top centre of the goal. Assisted by Nahomi Kawasumi. Attempt saved. Christine Nairn (Seattle Reign) header from the centre of the box is saved in the bottom right corner. Assisted by Megan Rapinoe with a cross. Attempt missed. Christen Press (Chicago Red Stars) right footed shot from outside the box is high and wide to the right. Assisted by Danielle Colaprico from a direct free kick. Attempt missed. Alyssa Mautz (Chicago Red Stars) right footed shot from the centre of the box is high and wide to the left. Attempt saved. Christen Press (Chicago Red Stars) right footed shot from the left side of the box is saved in the bottom right corner. Assisted by Danielle Colaprico. Attempt missed. Rumi Utsugi (Seattle Reign) left footed shot from outside the box misses to the right. Assisted by Megan Rapinoe. Attempt saved. Sofia Huerta (Chicago Red Stars) left footed shot from the centre of the box is saved in the bottom right corner. Attempt saved. Jessica Fishlock (Seattle Reign) right footed shot from the left side of the six yard box is saved in the top left corner. Assisted by Megan Rapinoe with a cross. Attempt blocked. Christine Nairn (Seattle Reign) right footed shot from outside the box is blocked. Assisted by Katie Johnson. Attempt blocked. Jessica Fishlock (Seattle Reign) left footed shot from outside the box is blocked. Assisted by Rebekah Stott. Corner, Chicago Red Stars. Conceded by Megan Rapinoe. Attempt blocked. Vanessa Di Bernardo (Chicago Red Stars) right footed shot from outside the box is blocked. Assisted by Christen Press. Attempt blocked. Sofia Huerta (Chicago Red Stars) right footed shot from outside the box is blocked. Assisted by Taylor Comeau. Hand ball by Carson Pickett (Seattle Reign). Attempt saved. Danielle Colaprico (Chicago Red Stars) right footed shot from outside the box is saved in the top centre of the goal. Assisted by Vanessa Di Bernardo. Attempt missed. Christen Press (Chicago Red Stars) right footed shot from outside the box misses to the left. Assisted by Vanessa Di Bernardo.